on, the individuals within this organization were really able to stay in their strengths zone, some specialized in managing projects, and others specialized in estimating. As the organization grew, the executive team focused more and more on the well-roundedness of everyone. As this growth occurred, there was a significant decrease in productivity as estimators were being forced to become project managers and vice versa. You see, the focus on becoming well-rounded -- an obsession with teaching everyone how to do everything -- diluted the talent base that had been prevalent within the organization’s culture in its initial years. This dilution of talent adversely impacted profitability, employee morale, and overall performance. During this period, from one year to the next, this business increased revenue by over 30% -- a staggeringly impressive increase, right? Wrong, their profitability level for the year of increased revenue was well below the previous year, despite employees working harder than ever. Essentially, revenue had grown by 30% and the amount of total money made year-over-year had decreased by nearly the same amount. The benefit of well-roundedness is fundamentally flawed. It is merely a path to mediocrity at best. On an individual basis, investing in well-roundedness is ultimately an investment in more personal dissonance. When this is scaled to a team or organizational level, we often see situations arise like noted above, where an organization may be staring at the tipping point of greatness, only to be plunged below mediocrity because of focusing on well-roundedness. The Clifton StrengthsFinder identifies talent in individuals and teams. This talent is a clue to which areas are our best investments of time and energy. Beware of the temptation to seek well-roundedness. 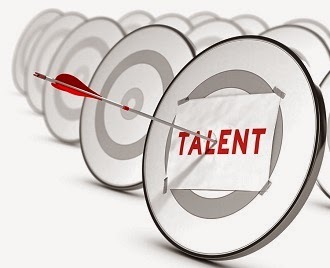 Time spent on talent will provide the best return on investment -- talent is the most valuable resource that any of us possess. Make the choice to spend your time and your team’s time wisely in the strengths zone! Darren Virassammy is Co-Founder and COO of 34 Strong Inc. (www.34strong.com) Darren is also an instructor at Heald College, where he teaches courses in entrepreneurship and business. Once aiming and applying his strengths, Darren quickly realized his natural ability to find and unlock people’s innate talents was something he was very passionate about. Operating in his Strengths Zone, Darren saw the opportunities to help more people and organizations through the formation of 34 Strong.